Get VIP seats at the Colosseum Show Pattaya or Kaan Show Pattaya, amazing live performances you can't miss! I will be back, see you again in beautiful Thailand and this lovely, company. Get US$12.5 back in Klook credits for your next trip when you book this activity! Complete this Klook activity to get 5% of the activity cost back in free credits to use on your next booking. 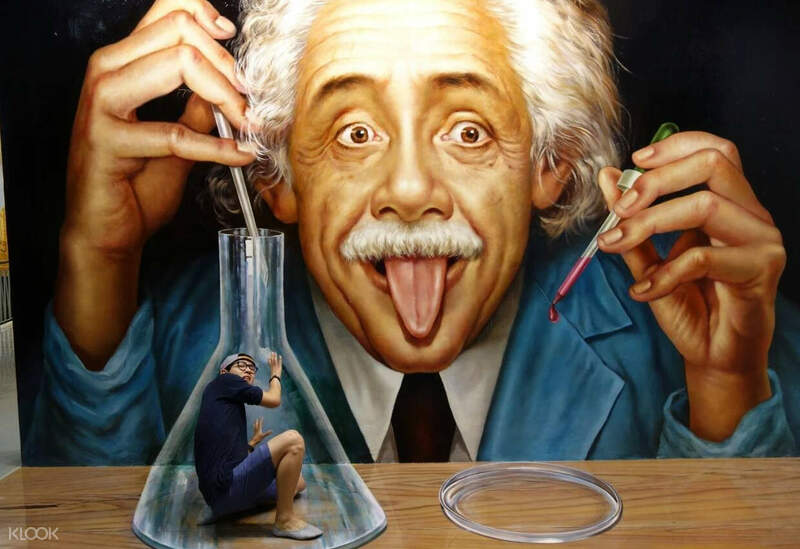 For example, book US$250.40 to get US$12.5 free credits. 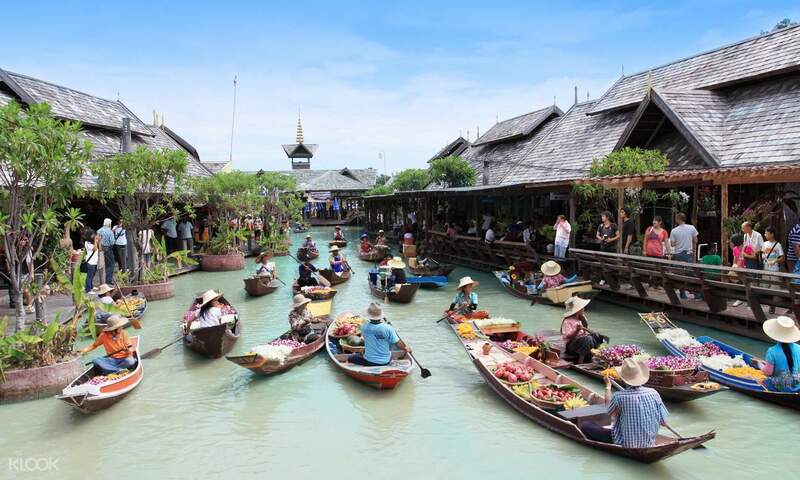 Escape the hustle and bustle of Bangkok with this tour of Pattaya by AK Travel! See Pattaya Floating Market, Art In Paradise Pattaya, and Colosseum Show or Kaan Show Pattaya in one exciting day. Get to customize your trip with this tour's vehicle and itinerary route options, a special feature only the reputable AK Travel can pull off. 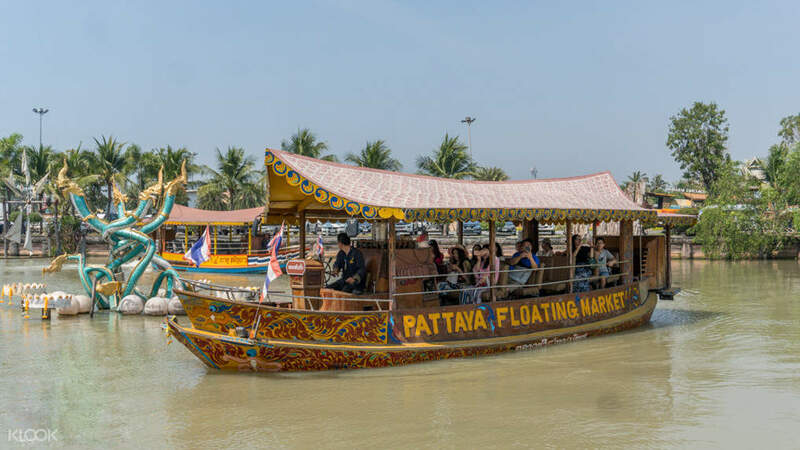 In this tour, you'll ride on an Amphibious boat to Pattaya Floating Market, lounge by the powdery shores of Pattaya Beach during sunset, take awesome pictures at Art In Paradise Pattaya, and watch the Colosseum Show Pattaya - or Kaan Show - in all its splendor. Experience all of these hassle-free and with an English-speaking guide to help you throughout your tour. End the day with a ride back to your hotel courtesy of your professional driver. Effortless and fun - two things your trip to Pattaya will be when you book this tour! I will be back, see you again in beautiful Thailand and this lovely, company. I will be back, see you again in beautiful Thailand and this lovely, company. The worst trip! It was a package, not a private one, with a guide. First of all, in the first place in Korea, I make a reservation at 9:00 A route, and then 5 minutes later, I immediately go to the castle and reserve again at 11:00 B route. But .. I called the hotel room from 8:30 on the day of the trip. Why do I have to go to the airport? I know that I made a reservation for the departure at 11 o'clock. I booked it at 11 o'clock B route, and I told him what I was talking about. Then I checked on the phone and then I said quietly ... More seriously, the guide is not a professional guide but an avid. I do not think you are going to Pattaya for the first time. Water market, lunch, 3D art center, even Kanshodo .. Buy tickets with us and watch. I do not know if the picture is friendly and I do not know where the theater which is the Kansho theater is busy. I went to the wrong place and dropped it off and went back. Is it originally private? Did I include the guide admission fee for my expenses? I also bought lunch and I went to Del .. I felt guided by my previous study. I am not fortunate to have met the wrong guide? I paid expensive private ... Is this the original KLOOK? 최악의 여행! 프라이빗이 아닌 그냥 패키지였음, 가이드와 함께하는. 우선 애초에 한국에서 9시 A루트 예약했다가 5분후에 바로 캐슬하고 11시 B루트로 다시 예약. 하지만..여행 당일 8시30분부터 호텔방으로 전화해서 왜 안내려오냐고..11시 출발 예약했다니 일단 알겠다고..차에타서 출발하자마자 늦었으니 추가 비용 발생할수 있다는 얘기부터 ㅠ. 11시 B 루트로 예약했는데 무슨 소리냐 했더니 그제서야 전화로 체크하고 하더니 조용... 더 심각한건 가이드가 전문 가이드가 아닌 알바생. 어디 회사 다닌다고 떠들고 자기도 파타야 처음 가본다고 하지않나, 더군다나 모든 일정을 우리와 함께 ㅠ. 수상시장, 점심도, 3D 아트센터도, 심지어 칸쇼도..우리와 함께 티켓 사서 입장하고 구경함. 친근히 사진도찍어주고 하면 모를까 자기 구경하기 바빴고 칸쇼하는극장이 어딘지도 몰라 엉뚱한데 가서 내려줬다가 다시 가고..정말이지 최악. 프라이빗 이면 원래 이런가? 내가 낸 비용에 가이드 입장료까지 다 포함된거? 점심도 사주고 델고 다니고..내가 사전 공부한걸로 가이드한 느낌. 내가 가이드를 잘못 만난 운 없는 케이스? 비싼 프라이빗 비용 지불했는데...KLOOK 이 원래 이런가요?